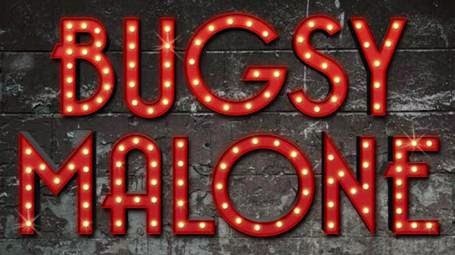 Open Auditions for BUGSY MALONE in Glasgow! Aged 9-18 years? Want to be part of the Bugsy Malone company or work behind the scenes? For the first time Glasgow Theatres’ Creative Learning team is producing Stage Experience, an opportunity for aspiring performers aged 9-18 years to act, dance and sing on the prestigious Theatre Royal stage and gain an insight into the process of staging top class musical Bugsy Malone. Based on the hit 1976 film with pint-sized, pinstriped gangsters, Bugsy Malone is the ideal title to showcase young local talent. Set in 1929 in New York’s criminal underworld, Mob boss Fat Sam is under threat from Dapper Dan’s new gang and their latest weapon – the dreaded splurge gun! His only hope is Bugsy Malone, a washed up but well meaning boxer who is thrust into the gangster limelight. With twists, turns, gangsters, showgirls and splurge fights galore the plot unfolds leading to a spectacular showdown at Fat Sam's Grand Slam! Open auditions take place on Saturday 25 April in the new purpose built education rooms at the Theatre Royal Glasgow. For more information and to register to take part please call 0141 240 1309/10 or email clglasgow@theambassadors.com. Registration closes Monday 20 April. No experience is needed, just a love of musical theatre and lots of enthusiasm. Please wear clothes suitable for dancing and trainers or dance shoes. Following the auditions, places will be offered on the Stage Experience two week course (fees apply), from Monday 20 July until Saturday 1 August. Led by industry professionals, these rehearsals will culminate in three live performances of Bugsy Malone on the Theatre Royal stage.